CIL Duo Premium Paint + Primer in One makes it easier to achieve a high quality finish with fewer steps. The Duo paint formula combines what's most important in a primer, enhanced hide and adhesion, with a premium quality paint for a durable finish in less time. CIL DUO<sup></sup> Premium Paint + Primer in One makes it easier to achieve a high quality finish with fewer steps. The DUO paint formula combines whats most important in a primer, enhanced hide and adhesion, with a premium quality paint for a durable finish in less time. 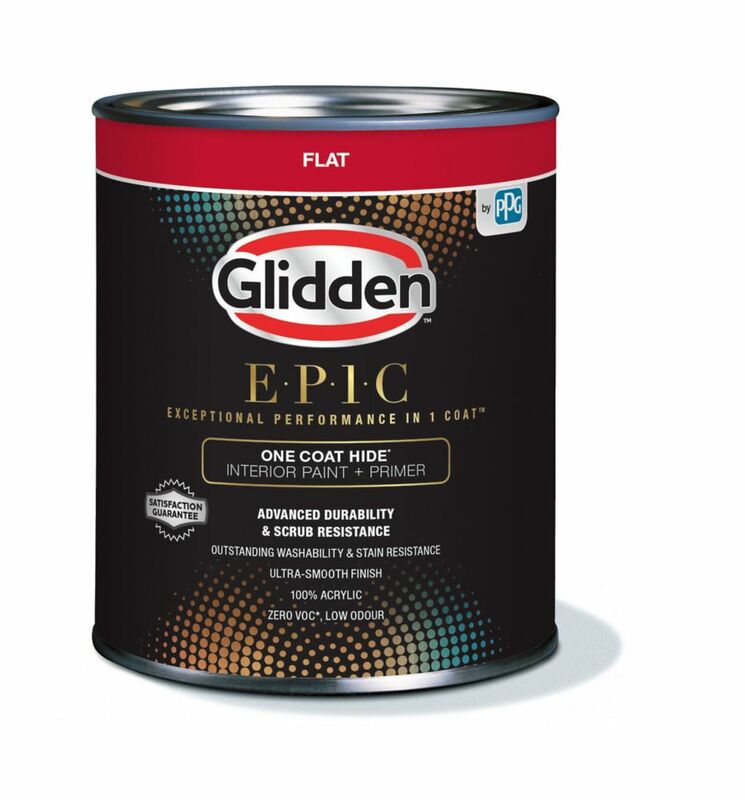 EPIC Interior Latex Flat Accent 842mL-82106 From stress-free application to an enduring, easy clean finish, this premium quality interior paint was designed to deliver Exceptional Performance In 1 Coat at an outstanding value every day. CIL EPIC has outstanding washability, scrubbability and stain resistance providing a durable long lasting paint. With over 400 one coat colours to choose from in our CIL EPIC palette you'll find the colours you love with ease. EPIC Interior Latex Flat Accent 842mL-82106 is rated 3.8 out of 5 by 4.